Looking for non-alcohoic drinks for your next event? Look no further than Shoemakers! Fully equipped with a portable bar, custom drink menu and staff, serve your drinks in style at your next party, corporate event or gathering. 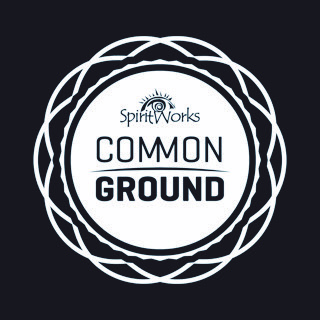 Common Ground has a classroom space available for meetings and trainings. It is used for SIRR trainings and programs and for Al-Anon/Alateen meetings. There is also space to play ping pong, watch a movie or just hang with friends! This is a group that get together and go for a walk, do yoga, or some sort of other exercise to get us moving. Guided meditation and visualization can help with reducing cravings and anxiety, improve sleep, mood, self-confidence and sense of well-being. Acudetox is a well established method of acupuncture that targets specific points on the ear involving detox and craving pathways. It has been shown to reduce cravings for alcohol and drugs including nicotine, minimize withdrawal symptoms, help control agitation and anxiety, while increasing calmness, energy, concentration and sleep. Relaxed and calm are feelings typically experienced with Acudetox treatments. This may be due to the release of endorphins which are naturally occurring compounds in the body associated with reducing pain, anxiety and stressed feelings, while improving the sense of well-being. This is a time that we get together and make some sort of craft for seasonal holidays, things that we can use for fundraisers, or something to just be proud of a creation done with our minds.